Preterm-Cleveland, Inc., v. Kasich, establishes two important issues of Ohio constitutional law. First, a litigant who wishes to challenge the constitutionality of multiple parts of one law must separately establish standing as to each part. Second, an administrative burden that imposes no economic harm is not an “injury” for standing purposes. The second category of provisions consists of the “Heartbeat Provisions.” These forbid any “person” to “perform or induce an abortion … prior to determining if the unborn individual … has a detectable fetal heartbeat,” except in cases of emergency. And in general, they prohibit any “person” from performing an abortion “until 24 hours after informing the pregnant woman in writing about the heartbeat and the statistical probability of bringing the unborn human individual to term.” Those who violate these provisions are subject to civil damages and “disciplinary action” by the State Medical Board. Performing an abortion without first checking for a heartbeat is a first degree misdemeanor. Subsequent offenses are fourth degree misdemeanors. Preterm-Cleveland, Inc. is an abortion facility in Cleveland, Ohio. It claimed that the Written Transfer Agreement Provisions and Heartbeat Provisions negatively affected it. First, the Written Transfer Agreement Provisions allegedly imposed “new administrative burdens.” For example, before the 2013 bill’s passage, Preterm had a written transfer agreement with a local hospital that automatically renewed each year. After the bill’s passage, that automatic renewal no longer sufficed; Preterm had to execute and file a new agreement every two years, which required more work than an automatic renewal. As for the Heartbeat Provisions, these required Preterm to “amend its policies, procedures, and protocols concerning informed consent,” “undertake new record keeping burdens,” and “conduct extensive research” due to fear of “criminal prosecution and civil liability” for non-compliance. In addition, the 24-hour waiting period allegedly required it to schedule more follow-up visits. Preterm sued the State (or more precisely, Ohio’s governor, the State of Ohio, and a number of other state entities) in the Cuyahoga County Court of Common Pleas, arguing that the foregoing provisions violated Ohio’s Single-Subject Clause. The Clause forbids the General Assembly from enacting any law that “contain[s] more than one subject.” Preterm argued that the challenged provisions violated this restriction because they were insufficiently related to the state budget—the subject of the 2013 bill in which they were enacted. In the trial court, the State moved for dismissal on jurisdictional grounds, arguing that Preterm lacked standing to sue. According to the State, Preterm faced no concrete harm: It already had a written transfer agreement. It was not even subject to the Heartbeat Provision’s civil and criminal penalties, which apply only to “persons” who perform abortions, not clinics that facilitate them. And Preterm conceded that it suffered no harm at all from the Parenting and Pregnancy Provisions. The trial court dismissed the claims against the State for lack of standing. But the Eighth District Court of Appeals reversed, in a 2-1 decision. 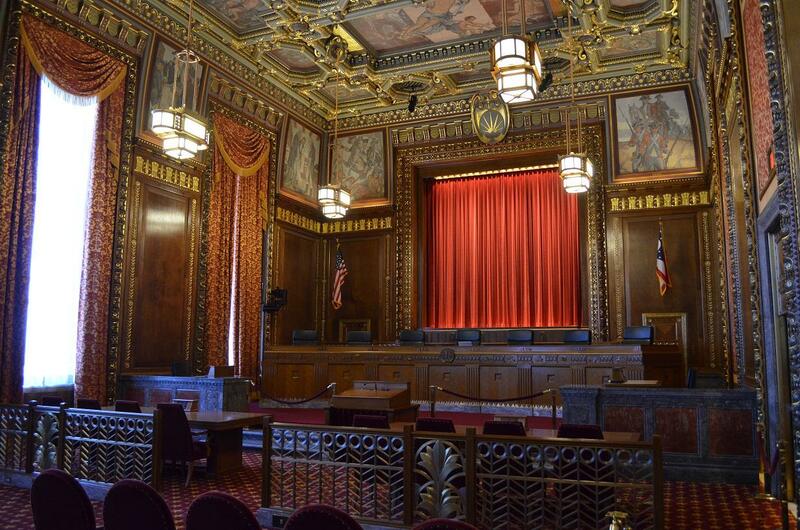 The Ohio Supreme Court took jurisdiction to address the standing issues. It reversed by a 5-2 vote, holding that Ohio courts lacked standing to adjudicate the dispute. Justice O’Donnell wrote for the Court, establishing two important propositions along the way. First, plaintiffs cannot establish standing with conclusory or speculative assertions that a law will expose them to “administrative burdens.” The Ohio Constitution gives common pleas courts jurisdiction only over “justiciable matters.” For a private litigant to establish the justiciability of a dispute, he “must generally show,” among other things, that he has “suffered or is threatened with direct and concrete injury.” Preterm stands for the proposition that administrative hassle alone is not a concrete injury: “Although a new law might impose administrative burdens that result in use of additional resources by a business,” only plaintiffs with some risk of incurring actual expenses can sue. This principle defeated Preterm’s standing to challenge the Written Transfer Agreement Provisions. Though Preterm pointed to several new administrative requirements—such as the obligation to execute and file an updated contract every two years—the record did “not reflect that Preterm incurred or [was] at risk of incurring new expenses due to” those provisions. Second, private litigants who challenge the constitutionality of state legislation “must establish standing as to each claim presented.” The Supreme Court determined that Preterm had no standing to challenge the Heartbeat Provisions because it was not subject to those provisions’ civil and criminal penalties. The Heartbeat Provisions are applicable only to “persons,” and the Court interpreted this to include only the individuals who perform the abortions rather than clinics like Preterm that facilitate them. That could have been the end of the case: since the Parenting and Pregnancy Provisions admittedly did not harm Preterm, Preterm had no standing to challenge any of the three categories of provisions. But the Court went a step further. It held that even if Preterm had standing to challenge the Written Transfer Agreement Provisions or the Heartbeat Provisions, it still lacked standing to challenge the Parenting and Pregnancy Provisions. This was so, it said, because “standing ‘is not dispensed in gross.’” Instead, plaintiffs must establish standing as to every part of the law they wish to challenge. And because Preterm was not harmed by the Parenting and Pregnancy Provisions, it had no standing to challenge them regardless of its standing to challenge the other provisions. Preterm v. Kasich’s most obvious significance relates to Ohio standing law. Private litigants cannot hope to challenge a law’s constitutionality by pointing to the administrative hassle it imposes. They must identify something more concrete, such as economic harm. Even then, they can challenge only the portions of the law that harm them; standing to bring one claim is not standing to bring all claims. These holdings make it harder for private litigants to seek relief from unconstitutional laws in court, and thus could work to keep policy disputes in the General Assembly and out of the courts. But that effect should not be overstated. Preterm’s holdings limit who can bring an issue to court, not what issues they may bring. Sophisticated parties will rarely have trouble finding a plaintiff who has suffered some degree of economic harm from a law they wish to challenge. The more important lesson from Preterm may be one it makes only implicitly: state-law doctrines sometimes depart from their federal analogues. As Ohio’s own Judge Jeffrey Sutton has argued, state constitutional provisions are independent sources of law, and courts ought not assume that state constitutional doctrine mirrors federal constitutional doctrine. Chief Justice O’Connor’s dissent made much of federal cases that she read to hold that administrative burdens alone are enough to confer standing under the “cases and controversies” language in Article III of the United States Constitution. Even if she is right, however, that is no reason to adopt those cases as a matter of state standing law—particularly since Ohio’s standing requirement derives from a state constitutional provision that looks nothing like Article III. The Preterm majority largely ignored federal doctrine relating to the question whether administrative burdens are a concrete injury. It thus stands for the obvious-but-often-overlooked proposition that Ohio courts may blaze their own trail when interpreting their own constitution. 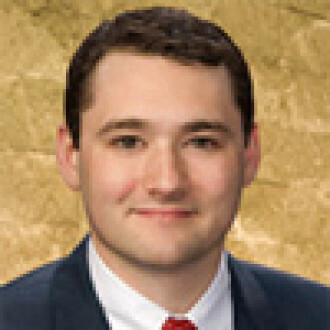 Benjamin M. Flowers is an associate in Jones Day’s Columbus, Ohio office. The views expressed in this article are his alone. Id. (citing R.C. 3702.303(A); quoting R.C. 3702.303(B)). Preterm, 2018-Ohio-441 ¶ 6 (citing R.C. 2919.192(A) & (2)). Id. ¶ 7 (citing R.C. 2919.192(E)). Id. ¶ 47 (O’Connor, C.J., dissenting). Id. ¶ 10 (majority op.). Id. ¶¶ 39–40 (O’Connor, C.J., dissenting). Ohio Const. Art. II, § 15(D). Preterm, 2018-Ohio-441 ¶ 1 (majority op.). Ohio Const., Art. IV, § 4(B). Ohio Truckin Assn. v. Charles, 134 Ohio St.3d 502, 2012-Ohio-5679 ¶ 5, 983 N.E.2d 1262. Id. ¶ 30 (quoting Davis v. FEC, 554 U.S. 724, 734 (2008)). Id. ¶ 49–55 (O’Connor, C.J., dissenting). Id. ¶ 49 (quoting Arlington Hts. v. Metro. Hous. Dev. Corp., 429 U.S. 252, 262–63 (1977)). See Sutton, 51 Imperfect Solutions: States and the Making of American Constitutional Law (Oxford 2018). Compare Ohio Const., Art. IV, § 4(B) (“The courts of common pleas and divisions thereof shall have such original jurisdiction over all justiciable matters and such powers of review of proceedings of administrative officers and agencies as may be provided by law.”) with U.S. Const. Art. III, § 2, cl. 1 (“The judicial Power shall extend to all Cases, in Law and Equity, arising under this Constitution, the Laws of the United States, and Treaties made, or which shall be made, under their Authority; to all Cases affecting Ambassadors, other public Ministers and Consuls; to all Cases of admiralty and maritime Jurisdiction; to Controversies to which the United States shall be a Party; to Controversies between two or more States; between a State and Citizens of another State; between Citizens of different States; between Citizens of the same State claiming Lands under Grants of different States, and between a State, or the Citizens thereof, and foreign States, Citizens or Subjects. ).